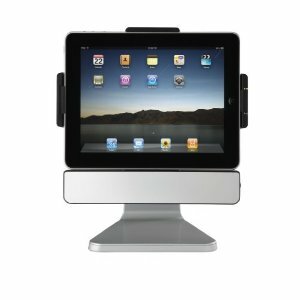 PadDock 10 Stand for iPad: not only keeps your iPad safe, it supports portrait and landscape orientation. 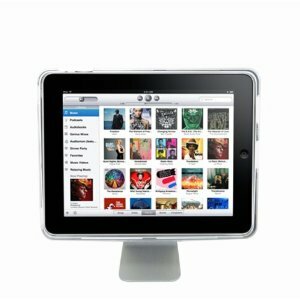 Lets you tilt your iPad back and forth to get the best viewing angle using this stand. 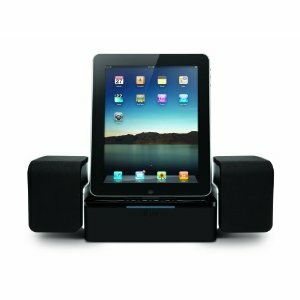 iLuv iMM747 Audio Cube Hi-Fidelity Speaker Dock: charges, syncs, and plays your music on your iPad. 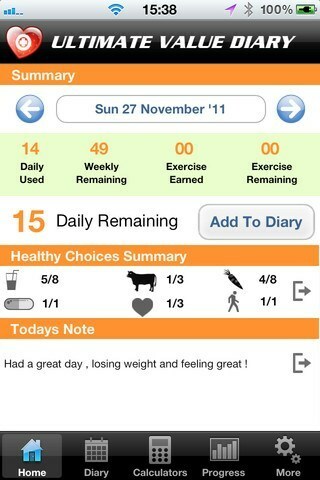 Works with other idevices too. 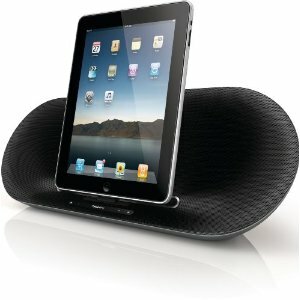 Philips Fidelio DS8550 Speaker System: a high quality, portable speaker system for your iPad. It has a built-in rechargeable battery. Wireless bluetooth streaming are supported too. 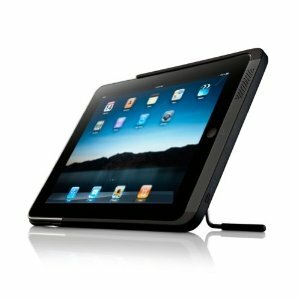 Kensington Apple iPad Accessory PowerBack Battery Case: a hybrid case, kickstand, and dock for iPad. 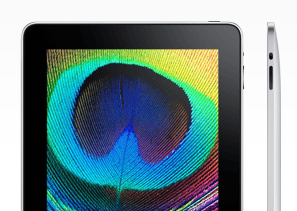 It has a built in speaker and offers 5 hours of extra battery life for app use on your tablet. GSI Hands-Free Desktop Rotating Swivel Stand: a portable stand that works at home and for your trips. This aluminum stand supports multiple angles and lets you charge your device when docked. Which is your favorite iPad dock?